Photo: Meadow Farm, ca. 1800, Glen Allen, VA. Listed on the National Register of Historic Places in 1974. Photographed by user:John Musgrove (own work), 2012, [cc-by-3.0 (creativecommons.org/licenses/by/3.0)], via Wikimedia Commons, accessed October, 2013. The Henrico County Government Center is located at 4301 East Parham Road, Henrico VA 23228; phone: 804-501-4000. The first Englishmen to set foot in what was to become Henrico County were a company of explorers led by Christopher Newport in the Spring of 1607. Four years later, 1611, Sir Thomas Dale left Jamestown to form a settlement in the area. In 1612 John Rolfe introduced a new strain of mild tobacco and began shipping it to Great Britain. Virginia's economy was, forever after, transformed. In 1614 Rolfe married Pocahontas, the daughter of the chief of the local native Indians (the Powhatans). She converted to Christianity and was baptized "Rebecca." Peace with the Powhatans was, temporarily, established as a result. In 1619 the Virginia Company introduced a form of government in which the Virginia Colony was divided into settlements called "plantations." One of those was the City of Henrico. Each settlement sent representatives to a General Assembly in 1619 in Jamestown. 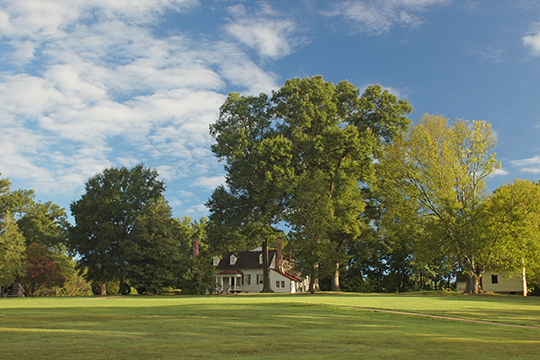 Henrico's settlement included a parcel of 10,000 acres for what was intended to become the University of Henricus, the first English university in America. One of the schools within the University was intended to be for education of the Powhatans. Plans were interrupted in 1622 when an uprising was spurred by the Indians concern with the Colony's rapid development. England assumed control of the colonies in 1624. In 1634 it divided Virginia into eight shires (or counties) of which Henrico was one. In 1776 Henrico representatives Richard Adams and Nathaniel Wilkenson participated in the Fifth Virginia Convention, which voted to send delegates to the Continental Congress to propose separation from the British. About 1781 Henrico's militia was called to action during the British occupation of Richmond. Many court records were destroyed during this period. Many Civil War battles were fought on Henrico soil, including the battles of Seven Pines, Savage's Station, Glendale, Malvern Hill, Yellow Tavern, New Market Heights, and various battles in defense of Richmond. Bordering the City of Richmond on the west, north, and east, the county of Henrico lies between the James and Chickahominy rivers, and constitutes approximately a third of the Richmond metropolitan area. In 1934, exactly 300 years after becoming one of the original shires, Henrico became the only county in Virginia to adopt the county manager form of government. Public Information Office, County of Henrico, History Highlights: Henrico County Virginia,, 3rd Edition, Revised, Richmond, 1997.